This height adjustable shower commode is suited to accommodate all different types of users, and has powder coated aluminium finish. 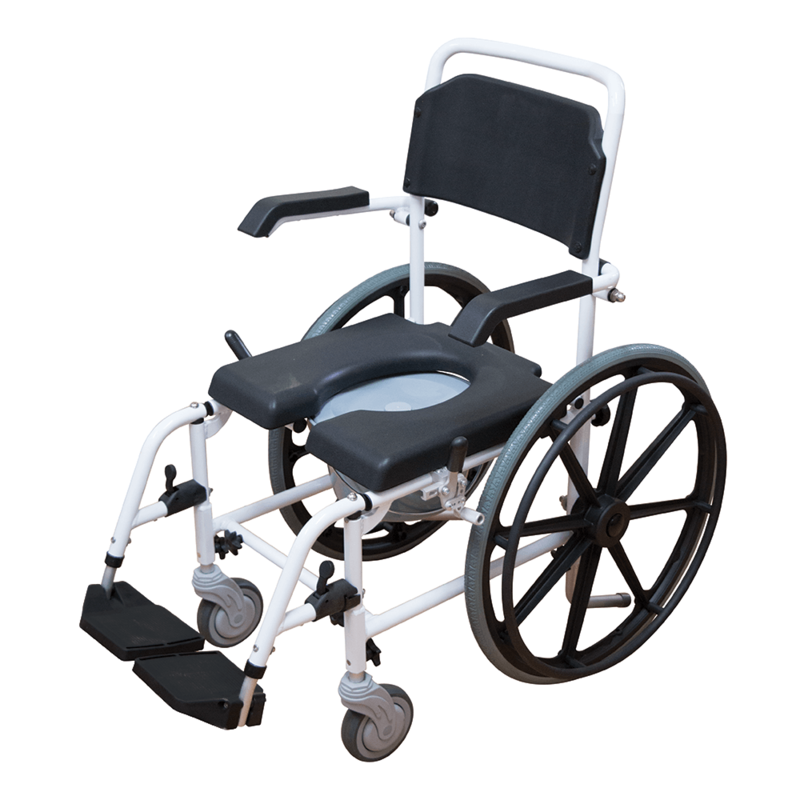 Swing back arms and swing away footrests are standard, as are the 2 x locking rear castors. The Shower Commode features a soft opening PU seat and is supplied with a bowl.